SAN MATEO, Calif. – March 25, 2019 – Snowflake Computing, the only data warehouse built for the cloud, today announced it has joined the Adobe Exchange partner program. Together, the companies will work to empower customers with data-based decision making, providing customers a best-in-class customer experience management (CXM) solution. The Adobe Experience Cloud easily brings together critical customer data – behavioral, transactional, financial, operational, and third-party data – into a single source of truth. 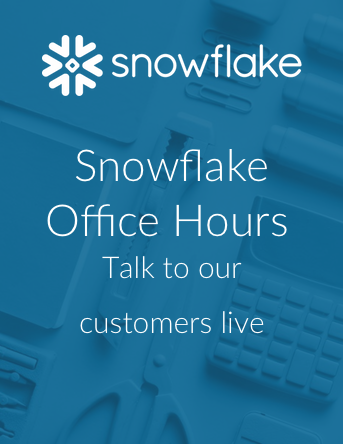 Armed with these insights and powered by Snowflake’s instant and near-infinitely scalable cloud data warehouse, Experience Cloud users will be able to make smarter and quicker data-driven business decisions based on what their customers want in real time by delivering timely, consistent and relevant messaging and offers across multiple channels.